So far, we have raised $170.60 as of November 27, 2016 through Funding Factory. Keep up the good work and keep bringing in your recyclables. 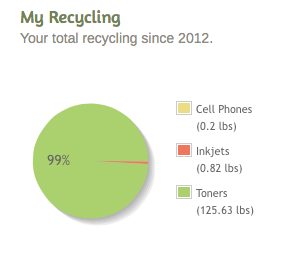 The total weight of the last recycling shipment was 37 lbs.